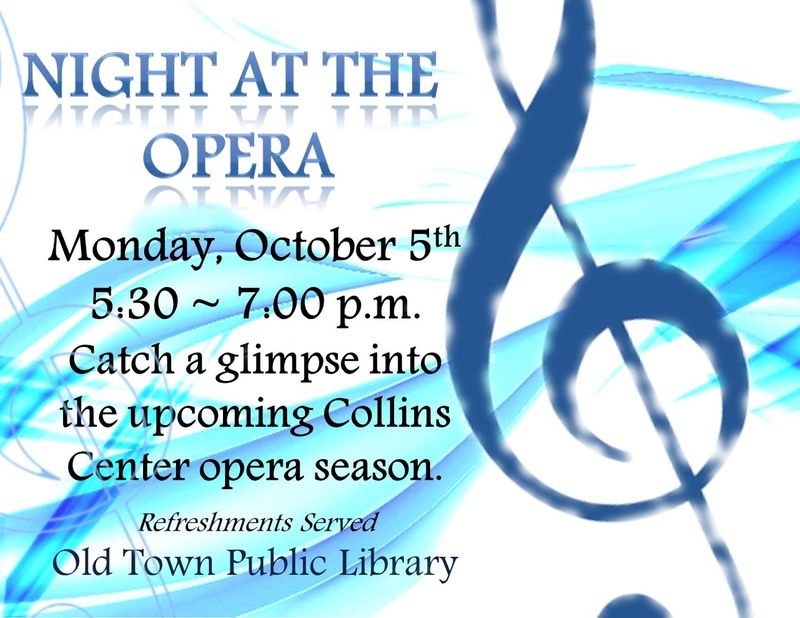 On Monday, October 5, 2015, 5:30-7:00pm, at the Old Town Public Library, opera aficionados, Paul Bauschatz and Elizabeth Brand, will provide a preview of the upcoming Metropolitan Opera Series: Live in HD at the Collins Center for the Arts. Enjoy tasty refreshments, and learn more about the operas and composers to be featured in the series. For further details, and to register, call the library at 827-3972.